What is a collaborator account? 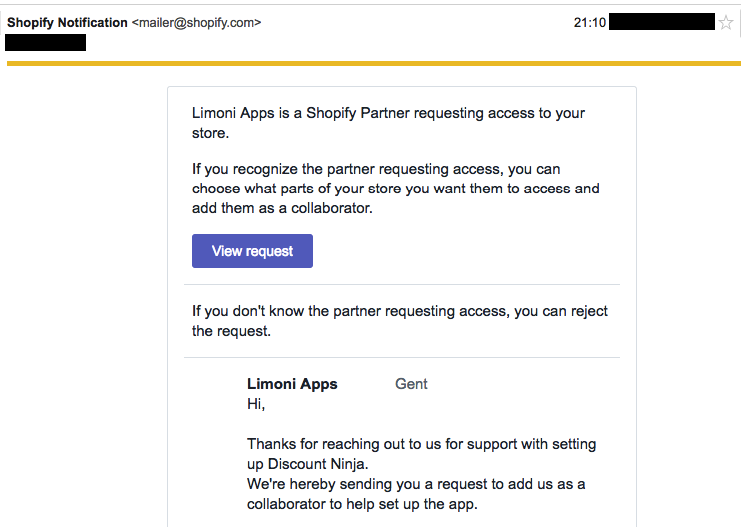 A collaborator account provides specific permissions to a collaborator (in this case Limoni Apps) to access your store. Shopify describes them as: "These give designers, developers, and marketers access to your Shopify admin. They don't count towards your staff account limit." What permissions do you request and why? Applications: required to be able to access Discount Ninja and set up a test promotion. Themes: access to your themes files to make the necessary changes to your theme's liquid files to enable Dynamic Pricing. Products: we request access to those so we can check which templates your products use, what variants you have set up and the pricing of those variants. This is used when we test the setup of Dynamic Pricing. Discounts: this allows us to troubleshoot issues with fixed discounts, configured in Shopify. I received an email, what do I do? The message included in the email requests some additional information. Please reply to the email to provide us the answers. Then click "View request" to review the permissions and approve. 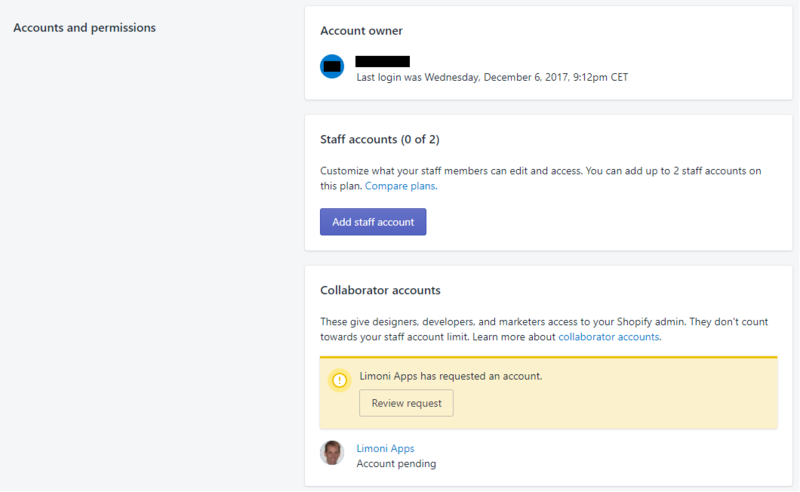 How do I approve the request for a collaborator account from the Shopify admin? Note: collaborator accounts can only be approved by the owner of the store.